Olga Kurylenko. Amy Adams. Leonardo DiCaprio. Hollywood looks very glamorous on Oscar night. The biggest Hollywood stars descended on the red carpet for the 86th Annual Academy Awards, held at Hollywood and Highland Center in Hollywood, California. Anne Hathaway shows off a perfect back, on the red carpet. Julia Roberts has been nominated in the Best Supporting Actress category for her work in August: Osage County. The gorgeous Charlize Theron strikes a pose on the red carpet. Penelope Cruz makes a striking entrance. Bond girl Olga Kurylenko looks striking, as she makes her entrance. Oscar nominee Amy Adams (American Hustle) arrives. Brad Pitt and Angelina Jolie arrive. Pitt has produced, and even acted in, 12 Years A Slave, which has been nominated in the Best Film category. A very pregnant Olivia Wilde arrives with fiance Jason Sudeikis. The gorgeous Jennifer Lawrence has been nominated in the Best Supporting Actress category for her small yet powerful role in American Hustle. Ethan Hawke kisses his Before Midnight co-star Julie Delpy on the red carpet. Delpy especially was brilliant in the film, and a sad Oscar omission. Naomi Watts looks like a vision in white. Emma Watson looks pretty on the red carpet. 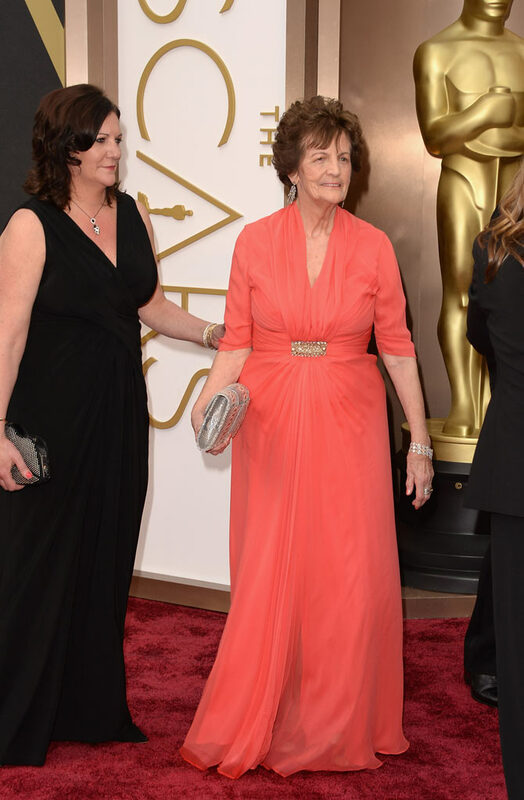 Philomena Lee, who inspired the brilliant film Philomena, arrives. Philomena has been nominated in the Best Film category, as well as Best Actress for Judi Dench, who played the title role. 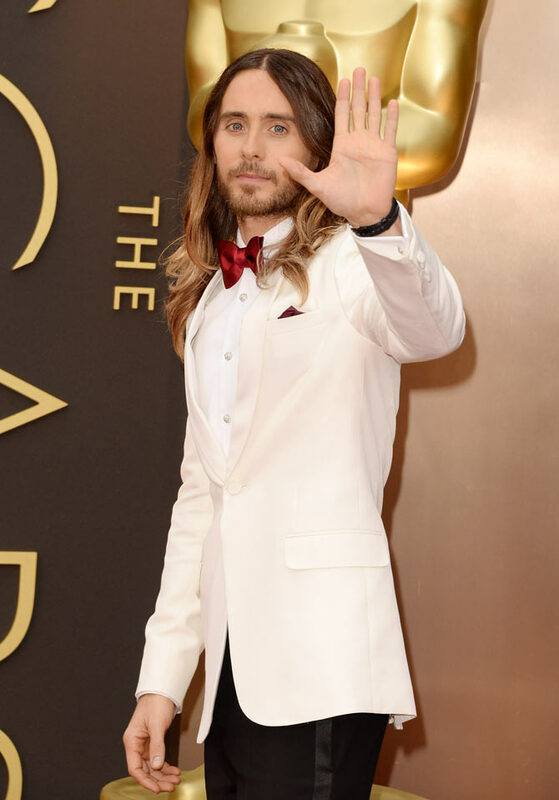 Jared Leto, who arrived with his mother and brother, has been nominated in the Best Supporting Actor for the film Dallas Buyers Club. Cate Blanchett is a favourite to win the Best Actress award for her work in Blue Jasmine while her co-star Sally Hawkins might just lose out her nomination in the Best Supporting Actress. 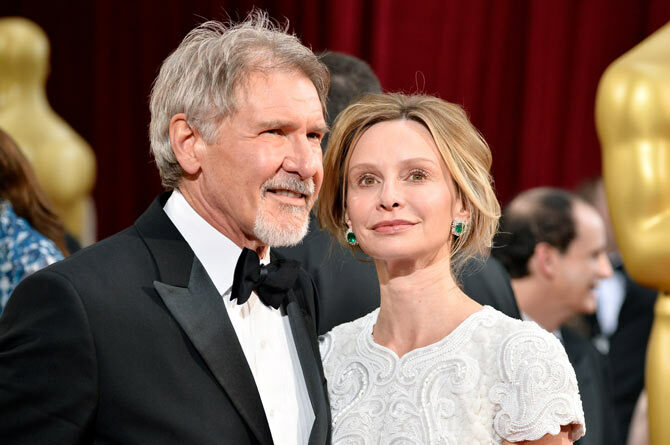 Harrison Ford arrives with his partner Calista Flockhart. 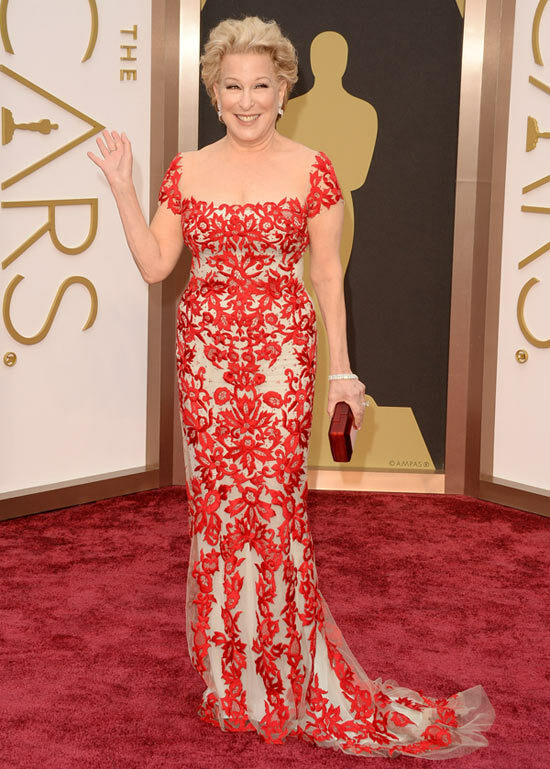 Singer Bette Midler waves to the crowds. She will perform on Oscar night for the first time in her long and brilliant career. Will Leonardo DiCaprio break the jinx and finally win an award tonight? 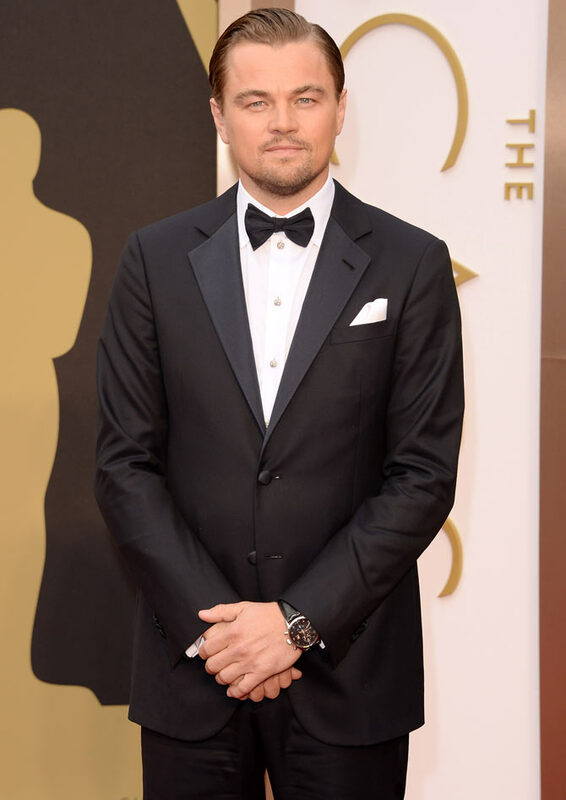 He has been nominated in the Best Actor category for the film The Wolf Of Wall Street. 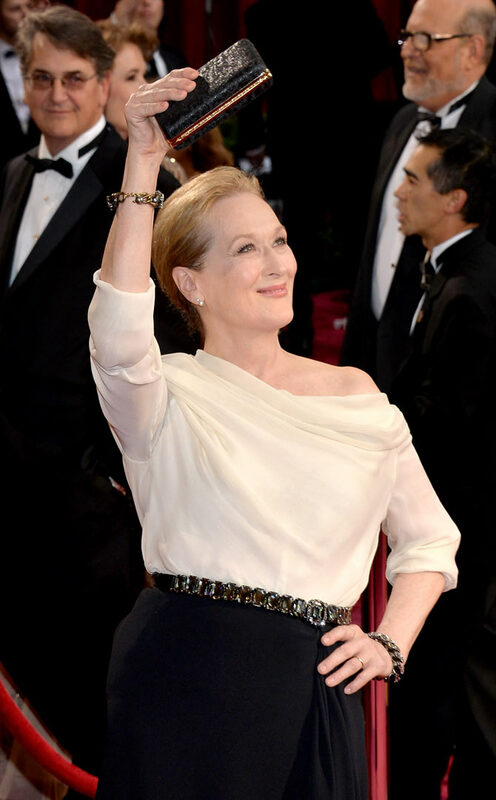 Meryl Streep has been nominated for the 18th time with August: Osage County. But this year, she faces some tough competition in the Best Actress category. Kate Hudson strikes a pose. Thor actor Chris Hemworth arrives with his pregnant wife Elsa Pataky. Lupita Nyong'o ruffles her dress as she makes her way in. She has been nominated in the Best Supporting Actress for 12 Years A Slave. 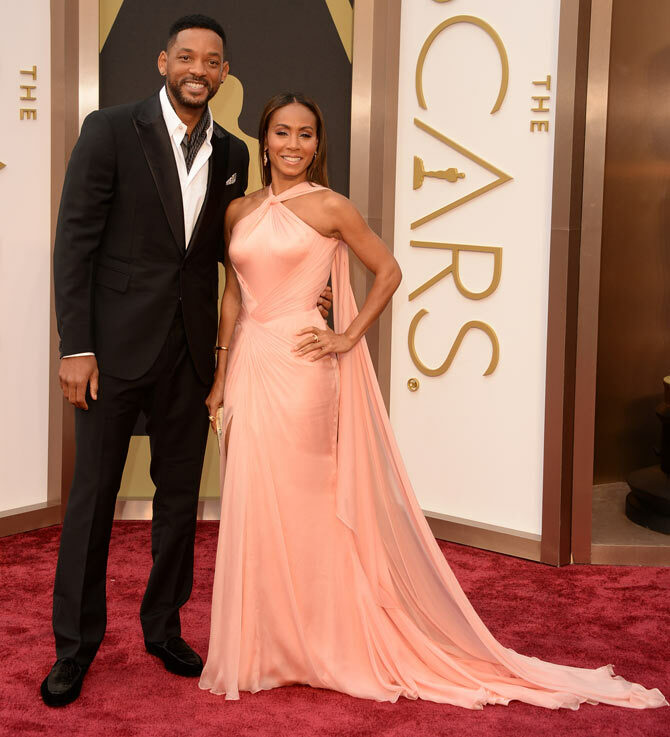 Power couple Will Smith and Jada Pinkett Smith arrive. Lady Gaga leaves her whacky designs behind, and wears a formal outfit at the Oscars. 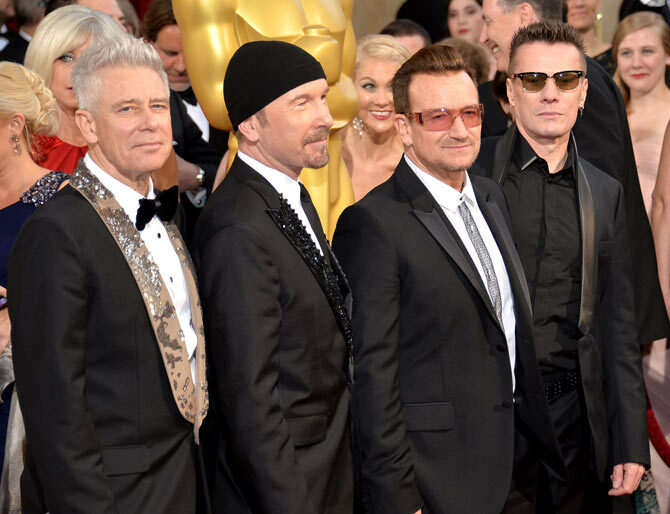 Adam Clayton, The Edge, Bono and Larry Mullen Jr -- members of the U2 band -- arrive. Winners at a glance: Gravity wins big! Liked Oscar host Ellen DeGeneres? VOTE! Oscar trivia: How many times has Meryl Streep been nominated? Will controversy cost Cate Blanchett her Oscar?